The aim of the present study was to determine the risk factors and impact on outcome of blood transfusions following pneumonectomy for thoracic malignancies. A retrospective analysis of 432 consecutive patients was carried out, of whom 183 (42.4%) were transfused post-operatively. The associations between blood transfusions and 20 variables were assessed by univariate and multivariate analysis. Survival analysis included log-rank test and Cox regression model. Patient age, neoadjuvant treatment, completion pneumonectomy and extended procedures were independent predictors of transfusion. It was found that 30-day mortality increased significantly from 2.4% (no transfusion) to 10.9 and 21.9% (≤2 and >2 red blood cell packs, respectively). Blood transfusion was the strongest predictor of 30-day mortality (odds ratio (OR) 10; 95% confidence interval (CI): 3.7–27), respiratory failure (OR 19.2; 95% CI 7.4–49.4) and infectious complications (OR 3; 95% CI 1.5–6.2). In the 367 lung cancer patients, a significantly lower 5-yr survival was observed in univariate analysis of transfused patients (27.8±5.4% versus 39.4±4.5%). In a Cox regression analysis, blood transfusion was no longer found to be significant. A dose-related correlation is suggested between blood transfusion and early mortality through an increase of infectious and respiratory complications. In contrast, blood transfusion had no independent adverse impact on long-term survival. There have been very few clinical trials evaluating the blood-product needs in patients subjected to major thoracic oncological surgical procedures 1–4. The issue is of clinical relevance since outcome data on transfusion therapy have not always been favourable, particularly in the areas of post-operative infection, systemic inflammatory response syndrome, multiple organ failure and finally mortality. Furthermore, the risk of infection transmission now includes both existing and emerging pathogens 5. Besides these early concerns, transfusion-related immunomodulation combined with the decreased natural killer cell activity seen during the peri-operative period may support tumour growth and lower long-term survival of transfused cancer patients 6. Pneumonectomy carries the highest complication and mortality rates among all elective pulmonary resections and almost all other elective surgical procedures, even in high-volume institutions 7. Moreover, pneumonectomy has been reported to have a potent, independent adverse impact on survival in cancer patients 8. Thus, the overall blood requirements and factors potentially associated with increased need for transfusion were evaluated in the present study, as well as their consequences on early, mid- and long-term outcomes, among 432 consecutive patients having received pneumonectomy for thoracic malignancies during a 10-yr period. The medical records of all patients who underwent pneumonectomy for a malignant disease were reviewed for the 10-yr period ranging from May 1993 to December 2002. Patient charts were identified by screening of a database into which data were entered prospectively. Information concerning blood products included the use of red cells, platelets, plasma and cryoprecipitate, and coagulation factor VIII. The use of human albumin was not analysed. All these data were gathered prospectively on a specific computerised database by means of dedicated software (Rhésus®; Assistance Publique-Hôpitaux de Marseille, Marseille, France). There were 432 patients (368 males), whose ages ranged 19–82 yrs (mean±sd 60±9.9 yrs). Mean forced expiratory volume in one second (FEV1) was 2.6±0.8 L and mean FEV1/forced vital capacity was 72±11%. The malignant diseases included lung tumours, i.e. primary lung cancer (n = 367) and lung metastases (n = 18), as well as pleural or mediastinal malignancies, i.e. mesothelioma (n = 40), thymoma (n = 4) and lymphoma (n = 3). Associated conditions consisted of chronic obstructive pulmonary disease in 50 (11.6%) patients, diffuse arteriosclerosis in 59 (13.6%), involving the coronary arteries in 24 (5.6%), hypertension in 60 (13.9%), diabetes mellitus in 18 (4.2%), cardiac arrhythmia in 17 (3.9%) and HIV infection in 2 (0.4%). In addition, 42 (9.7%) patients had a history of extrathoracic malignancy. The procedure was performed equally in 216 cases on each side and there were 36 completion pneumonectomies. Among the 367 patients with primary lung cancer, 69 received neoadjuvant treatment that consisted of chemotherapy (n = 46), radiotherapy (n = 1) or a combination of both (n = 22). All patients with lung metastases, six patients with mesothelioma and two patients with thymoma received multiple sessions of chemotherapy (n = 22), radiotherapy (n = 1), or a combination of both (n = 3) pre-operatively. The surgical approach was a posterolateral thoracotomy in 320 patients, a lateral thoracotomy in 88, a video-assisted minithoracotomy in 20, a sternotomy in three and a double thoracotomy in one. Standard pneumonectomy with extrapericardial (n = 133) or intrapericardial division of the hilum (n = 166) was performed in 299 patients. Extended resections were carried out in 133 patients, of whom 43 received en bloc extrapleural pneumonectomy combined with pericardial and diaphragmatic resection. In the remaining 90 patients, mediastinal extensions involved one or more of the following structures: superior vena caval system (n = 12) with prosthetic reconstruction in three patients; carina (n = 13); thoracic aortic adventitia (n = 6); left atrium after division of the interatrial septum (n = 5); initial portion of the pulmonary artery (n = 5) necessitating the use of a temporary cardiopulmonary bypass in one patient; and oesophagus (n = 2). Parietal extensions involved the pleura (n = 26) or the chest wall (n = 7), the pericardium (n = 26) or the diaphragm (n = 1) necessitating the use of a prosthesis for reconstruction. Primary lung cancers were classified pathologically as stage 0 in seven patients (multifocal in situ carcinoma involving the main bronchus in one and partial clinical response with a complete pathological clearance following induction therapy in six), stage IA in 18, IB in 66, IIA in seven, IIB in 80, IIIA in 89, stage IIIB in 71 and stage IV in 29 as follows: previously resected brain metastasis (n = 7); intraoperative discovery and resection together with the main tumour of synchronous separate pulmonary nodules in a different lobe of the same lung (n = 17); pleural (n = 1) and epicardial (n = 1) metastases; and discovery of brain (n = 2) and bone (n = 1) metastases in the immediate post-operative course. Cell type included squamous cell carcinoma in 190 patients, adenocarcinoma in 109, large cell undifferentiated in 42, mixed histological patterns in eight, neuroendocrine grades 2 and 3 in seven, small cell in one, sarcoma in three, pure bronchioloalveolar in three, carcinosarcoma in two, mucoepidermoid in one and adenoid cystic in one. None of the patients had undergone autologous blood pre-donation, or had acute normovolemic haemodilution or intraoperative cell salvage. None of them had been given erythropoetin or other pharmacological agents to reduce transfusion requirements and blood loss. Transfusion of red blood cells after pneumonectomy was considered according to the following criteria, which were previously discussed and accepted by surgeons and anaesthesiologists, and also approved by the blood transfusion department: 1) haemoglobin (Hb) levels of <8 g·dL-1; 2) Hb levels ranging 8–10 g·dL-1 and a history of ischaemic heart disease, and/or hypoxaemia defined as an oxygen saturation of <95% with 3 L·min-1 oxygen nasal supplementation, and/or the evidence of clinical intolerance to anaemia (tachycardia, tachypnea, systemic hypotension, malaise). Platelets, fresh-frozen plasma and cryoprecipitate were administrated in the presence of biologically proven abnormalities of the haemostasis and coagulation pathways. Post-operative acute respiratory failure was defined as a distress necessitating noninvasive pressure support ventilation or endotracheal mechanical ventilation. Infectious complications were defined by the combination of fever >38°C, hyperleucocytosis and the presence of pathogens in the sputum or blood cultures in the absence of a bronchial fistula, which was ruled out routinely with bronchoscopy in those circumstances. Serum transaminases as well as serological status for HIV and hepatitis B and C were determined in each transfused patient prior to the transfusion after informed consent, and monitored at 3 and 6 months post-operatively in survivors. Frequencies were compared with the Chi-squared test when appropriate. Means are presented as mean±sd. Distributions of continuous variables were compared using an unpaired t-test. The risks of the need for blood transfusion, operative mortality, post-operative respiratory failure and infectious complications were analysed initially by univariate analysis. For the latter two events, “transfused” patients were those who received at least 1 unit of blood products before the onset of the complication, whereas “nontransfused” patients were those who never received a blood transfusion or who were transfused after the onset of the complication. Variables that had a p<0.10 were further evaluated with the use of backwards elimination, multivariable, logistic regression analysis. The survival data were updated for December 2005 by contacting the patient or the referring physician. For patients lost to medical follow-up, missing data were obtained by consulting the City Hall registry. Finally, survival data were not available in 16 patients. Survival was measured from the date of operation and calculated according to the Kaplan–Meier method, including the operative mortality. Differences in survival between groups were tested for significance by the log-rank test. A univariate analysis was performed and a likelihood ratio test was used to identify the effect of blood transfusion and other covariates on survival. A Cox proportional hazards model was fitted to the data to examine and adjust for any explanatory variables with a p-value <0.10. Forward stepwise procedure and likelihood ratio tests were used to select the variables with the greatest prognostic value (p<0.05). This analysis was restrained to the subset of patients with primary lung cancer. Of the 432 patients eligible for inclusion in the study, 183 (42.4%) received allogeneic blood transfusions within 30 days of surgery. The incidence of blood transfusion varied from 33–50%·yr-1 along the study period. These transfused patients received a total of 921 units of packed red cells (mean 5±3.9; range 1–30). Two (1%) received 1 unit of blood, 53 (29%) received 2 units and 128 (70%) patients received ≥3 units of blood. Of them, 12 patients received 2–9 (4.2±1.9) units of viroinactivated plasma, eight patients received 1–4 (1.6±1.1) platelet concentrates and one patient received 6 units of coagulation factor VIII. Patients who underwent a right pneumonectomy received significantly more units of packed red cells than those who underwent a left pneumonectomy: 3±4 versus 2±3 units (p = 0.021). The univariate analysis identified also the following other variables as statistically significant predictors of the need for allogeneic blood transfusion (table 1⇓): completion pneumonectomy; extended resections; pleural or mediastinal thoracic malignancies; advanced stage disease; and previous chemotherapy and/or radiotherapy. In a multivariate analysis, the following were disclosed as independent (table 2⇓): patient age; completion pneumonectomy; neoadjuvant treatment; extrapleural procedures; and mediastinal extensions. One patient died intraoperatively due to an injury to the superior vena cava. Overall 30-day and 90-day mortality rates were 9.2% (95% confidence interval (CI) 7.8–10.6%) and 15% (95% CI 13.2–16.8%), respectively. Statistically significant differences in early mortality were observed when transfused patients were compared with nontransfused patients; 19.1% (95% CI 16.1–22.1%) versus 2.4% (95% CI 1.2–3.6%; p<0.0001) and 25.7% (95% CI 22.8–28.6%) versus 7.2% (95% CI 5.5–8.9%; p<0.0001), respectively. Patients receiving ≤2 units or >2 units had a 30-day mortality of 10.9 and 21.9%, respectively, compared with 2.4% for patients not requiring transfusions (p<0.0001). Blood transfusion was identified at multivariate analysis as the strongest independent and statistically significant predictor of 30-day mortality, together with patient age, history of coronary artery disease and right-sided pneumonectomy (table 3⇓). The incidence of post-operative respiratory distress necessitating noninvasive (n = 5) and/or invasive mechanical ventilation (n = 47) was 12.3%, and was significantly higher among transfused patients (25.1% versus 2.4%; p<0.0001). Blood transfusion was also identified by multivariate analysis as the strongest predictor of post-operative respiratory distress (hazard ratio (HR) 19.2; 95% CI 7.4–49.4; p<0.0001). These patients needed an average of 6±6 packs of red cells versus 2±3 packs of red cells compared with those who did not experience post-operative respiratory distress (p<0.0001). Among the 12 patients who received plasma, nine developed post-operative respiratory failure (p = 0.0002). The incidence of infectious complications was 13.7% in transfused patients and 5.6% in nontransfused patients (p = 0.004). Blood transfusion was disclosed as the strongest predictor of those post-operative infectious complications (HR 3; 95% CI 1.5–6.2; p = 0.003). At 6 months, no transmitted viral infection was recorded in any transfusion recipient. The median follow-up for patients who were alive at the last review was 9 months, with a range of <1–90 months. Overall 5-yr survival rate was 32%. The 5-yr survival rate in the transfused patients group was 25.6±4.6% versus 38.4±4.3% in nontransfused patients (p = 0.01). Considering the subset of 367 patients with a primary lung cancer (fig. 1⇓), a significant difference in 5-yr survival rates was still observed between transfused versus nontransfused patients (27.8±5.4% versus 39.4±4.5%; p = 0.03). Cox proportional hazards estimation of 5-yr survival demonstrated that blood transfusion did not achieve significance after adjusting for other variables, such as disease stage, presence of substantial comorbidity or history of extrathoracic malignancies (table 4⇓). Table 5⇓ reports scores at the last step of the analysis for other relevant covariates of survival that were not included in the Cox model. Survival of the 367 patients with a primary nonsmall cell lung cancer according to their transfusion status. ———: transfused patients; ········: nontransfused patients. The need for blood transfusion within 30 days following surgery has been reported as ranging from 16–25% of all patients receiving lung cancer resection 1–4 and exceeded 40% in the present study, which focused on pneumonectomy, although a rather restrictive and homogeneous transfusion strategy was used over the study period. The transfused patients of the present study required large amounts of blood products, suggesting that they would not have been able to avoid such a treatment. Intuitively, it may be expected that the need for transfusion is influenced by the amount of tissue removed. In fact, transfusion pertained to severity of illness, difficulty of operation and individual risk due to comorbidities. Indeed, the present series includes a large proportion of patients that received extended procedures. As a matter of fact, some surgical features (i.e. extrapleural dissection, mediastinal extension and completion procedures) appeared as predictors of blood transfusion. All may be described as technically demanding procedures that are understandably associated with a higher volume of peri-operative blood loss due to either intraoperative accidental venous or arterial mediastinal haemorrhage or oozing-type bleeding related to dense adhesions between lung and chest wall. Besides, pre-operative chemotherapy-induced anaemia due to the haematological toxicity of most regimes could explain why the presence of a neoadjuvant treatment doubled blood needs. Furthermore, the population was elderly, with a mean age of 60±9.9 yrs, and because of comorbidities and poor tolerance of anaemia by an elderly patient, transfusion was probably more widely indicated. The greatest presumed effect of blood transfusion was in the peri-operative course, where transfusion appeared as an independent and the strongest predictor of operative mortality, and this effect was dose related. This finding is concordant with that of Harpole Jr et al. 9 who found intraoperative blood loss and intraoperative red blood cell units transfusion as independent prognosticators of 30-day mortality and 30-day morbidity, respectively, after major pulmonary resection. Other predictors, i.e. age, right-sided procedures and presence of coronary artery disease, had been also extensively reported previously 9–12. The present results suggest infectious and respiratory complications as the causal pathway of that over mortality. Indeed, blood transfusion was associated with a three-fold increase of infectious complications, and it was also identified as the strongest predictor of such a complication at multivariate analysis. This is in line with the current literature, in which blood transfusions have been linked to poor post-operative outcomes with increased incidence of sepsis and pneumonia in various surgeries, including cardiothoracic surgery 13. The observed incidence of acute respiratory failure in the present study (12.3%) was in the range of current estimations following pneumonectomy, from 8.7–16% 11, 14. A 10-fold increase of respiratory failure was observed in transfused patients and, once again, blood transfusion was identified as the strongest predictor of such an event. Previous studies have suggested peri-operative blood loss or blood transfusion as predictors of pulmonary complications after pneumonectomy at univariate analysis 11, 12. Besides pneumonia, one of the possible causes of post-operative acute respiratory failure is the so-called post-pneumonectomy oedema. This has been theorised to be a pro-inflammatory side effect of allogeneic blood products, resulting in capillary damage, also known as transfusion-related acute lung injury (TRALI), the consequences of which may be magnified by the single-lung status. All plasma-containing blood products have been implicated in TRALI, with the majority of cases linked to whole blood, packed red blood cells, platelets and fresh-frozen plasma 15. As a matter of fact, 75% of the patients of the present study who received plasma experienced a post-operative respiratory failure. It may be hypothesised that less spectacular but clinically relevant respiratory manifestations may be mediated by blood transfusion that may act as a first “hit” of a multifaceted inflammatory process. The mid-term outcome of patients was marked by the absence of blood-transmitted viral infection. This reflects the efficacy of the safety measures, based on precautionary principles, that have been put in place in France, where the blood system has undergone various changes to make it safer than ever before, among which are testing for HIV and hepatitis C.
Numerous retrospective studies have examined the relationship between blood transfusion and long-term outcome in patients undergoing lung cancer surgery, with conflicting results. Some authors found transfusion to be a significant independent predictor of earlier recurrence or cancer-related death 16–18, whereas others did not 19–23. Only one prospective study has been carried out to date and has shown that peri-operative blood transfusion was significantly correlated to worse prognosis in patients undergoing lobectomy for stage I nonsmall cell lung cancer 24. In the present study, great care was taken to exclude patients with comorbidity and other clinical factors pre-operatively identifiable as possible predictors of peri-operative blood transfusion, in order to eliminate confounding factors. Undoubtedly, such a highly selected group of patients with an awaited favourable prognosis was the best suited sample to study the impact on survival of other factors, such as blood transfusion. This finding is not contradictory to the assertion that the effect of blood transfusion on survival may be of modest magnitude in patients with more advanced diseases undergoing more extended procedures, as suggested by the present results. Indeed, the current authors observed a detrimental influence of allogeneic blood transfusion in univariate analysis but not in the Cox model, where more powerful prognostic variables were taken into account, such as disease stage and comorbidities. Finally, blood transfusion could also be an indirect prognosticator, while the true prognostic factor is anaemia, as suggested by a recent study 25. Furthermore, pre-operative anaemia has been reported as a predictor for worse outcome even in the traditionally low-risk subgroup of completely resected stage IA patients 26. The most important limitation of the present study results from the absence of integration of pre-operative Hb levels and peri-operative blood losses in the statistical analysis. Undeniably, pre-operative anaemia, peri-operative blood losses and needs for blood transfusion are closely linked, and often occur sequentially in the individual patient. Therefore, each of these three variables may be a surrogate for the others. Although not demonstrable, events of the early post-operative period associated with the need for transfusion, and the respective very high odds ratio of these associations strongly suggest a causal relationship. In conclusion, the present study shows that allogeneic blood products are frequently needed in cancer patients receiving extended pneumonectomy. It provides some evidence for the existence of a dose-related correlation between blood transfusion and early mortality through an increase of infectious and respiratory complications. Conversely, the impact of blood transfusion on long-term survival was likely to be minimised by that of the underlying disease stage and comorbidities. Since there is a real risk of undertransfusing, especially in patients with cardiopulmonary compromise, it remains very difficult to state clear-cut transfusion criteria. Therefore, in an effort to minimise exposure of surgical patients to blood transfusion, new strategies using pharmacological agents should be investigated, such as the use of recombinant human erythropoietin to pre-operatively correct any chemotherapy-induced anaemia, or intraoperative aprotinin in those situations clearly identified by the present study to be those where there is a risk of greater blood loss during and after surgery. Gwin JL, Keller SM. Blood transfusion practices after resection of intrathoracic neoplasms. J Surg Oncol 1993;54:34–37. Griffiths EM, Kaplan DK, Goldstraw P, Burman JF. Review of blood transfusion practices in thoracic surgery. Ann Thorac Surg 1994;57:736–739. Cirasino L, Barosi G, Torre M, Crespi S, Colombo P, Belloni PA. Preoperative predictors of the need for allogeneic blood transfusion in lung cancer surgery. Transfusion 2000;40:1228–1234. Dougenis D, Patrinou V, Filos KS, Theodori E, Vagianos K, Maniati A. Blood use in lung resection for carcinoma: perioperative elective anaemia does not compromise the early outcome. Eur J Cardiothorac Surg 2001;20:372–377. Shander A. Emerging risks and outcomes of blood transfusion in surgery. Semin Hematol 2004;41:117–124. Shakhar G, Ben-Eliyahu S. Potential prophylactic measures against postoperative immunosuppression: could they reduce recurrence rates in oncological patients? Ann Surg Oncol 2003;10:972–992. Birkmeyer JD, Siewers AE, Finlayson EV, et al. Hospital volume and surgical mortality in the United States. N Engl J Med 2002;346:1128–1137. Alexiou C, Beggs D, Onyeaka P, et al. Pneumonectomy for stage I (T1N0 and T2N0) nonsmall cell lung cancer has potent, adverse impact on survival. Ann Thorac Surg 2003;76:1023–1028. Harpole DH Jr, DeCamp MM Jr, Daley J, et al. Prognostic models of thirty-day mortality and morbidity after major pulmonary resection. J Thorac Cardiovasc Surg 1999;117:969–979. Licker M, Spiliopoulos A, Frey JG, et al. Risk factors for early mortality and major complications following pneumonectomy for non-small cell carcinoma of the lung. Chest 2002;121:1890–1897. Bernard A, Deschamps C, Allen MS, et al. Pneumonectomy for malignant disease: factors affecting early morbidity and mortality. J Thorac Cardiovasc Surg 2001;121:1076–1082. Vaporciyan AA, Merriman KW, Ece F, et al. Incidence of major pulmonary morbidity after pneumonectomy: association with timing of smoking cessation. Ann Thorac Surg 2002;73:420–425. Vamvakas EC, Carven JH. RBC transfusion and postoperative length of stay in the hospital or the intensive care unit among patients undergoing coronary artery bypass graft surgery: the effects of confounding factors. Transfusion 2000;40:832–839. Algar FJ, Alvarez A, Salvatierra A, Baamonde C, Aranda JL, Lopez-Pujol FJ. Predicting pulmonary complications after pneumonectomy for lung cancer. Eur J Cardiothorac Surg 2003;23:201–208. Looney MR, Gropper MA, Matthay MA. Transfusion-related acute lung injury: a review. Chest 2004;126:249–258. 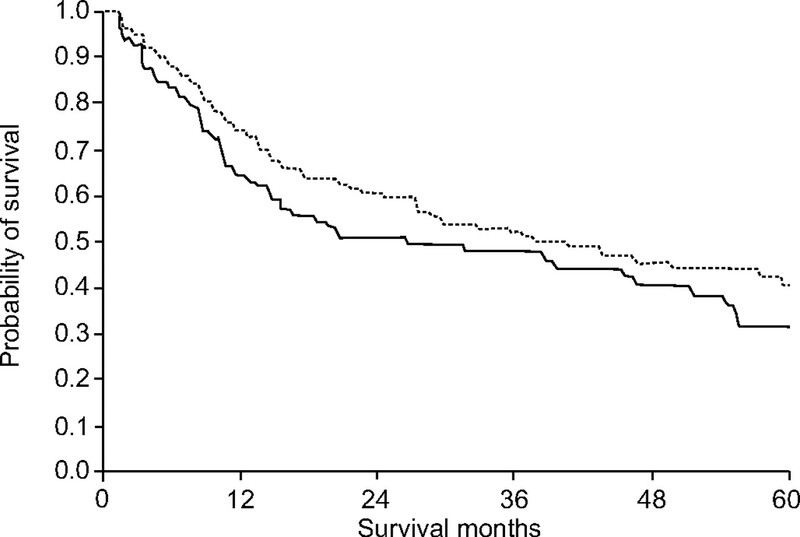 Tartter PI, Burrows L, Kirschner P. Perioperative blood transfusion adversely affects prognosis after resection of stage I (subset N0) non-oat cell lung cancer. J Thorac Cardiovasc Surg 1984;88:659–662. Moores DW, Piantadosi S, McKneally MF. Effect of perioperative blood transfusion on outcome in patients with surgically resected lung cancer. Ann Thorac Surg 1989;47:346–351. Little AG, Wu HS, Ferguson MK, et al. Perioperative blood transfusion adversely affects prognosis of patients with stage I non-small-cell lung cancer. Am J Surg 1990;160:630–632. Pastorino U, Valente M, Cataldo I, Lequaglie C, Ravasi G. Perioperative blood transfusion and prognosis of resected stage Ia lung cancer. Eur J Cancer Clin Oncol 1986;22:1375–1378. Keller SM, Groshen S, Martini N, Kaiser LR. Blood transfusion and lung cancer recurrence. Cancer 1988;62:606–610. Pena CM, Rice TW, Ahmad M, Medendorp SV. Significance of perioperative blood transfusions in patients undergoing resection of stage I and II non-small-cell lung cancers. Chest 1992;102:84–88. Rainio P, Bloigu R, Satta J, Pokela R, Paakko P. Ten-year survival after resection for lung carcinoma. Effect of blood transfusion and tumour stage on outcome. Scand J Thorac Cardiovasc Surg 1996;30:87–91. Rzyman W, Dziadziuszko R, Skokowski J, et al. The influence of blood transfusion on survival in operated non-small cell lung cancer patients. J Thorac Cardiovasc Surg 2003;126:755–760. Nosotti M, Rebulla P, Riccardi D, et al. Correlation between perioperative blood transfusion and prognosis of patients subjected to surgery for stage I lung cancer. Chest 2003;124:102–107. Berardi R, Brunelli A, Tamburrano T, et al. Perioperative anemia and blood transfusions as prognostic factors in patients undergoing resection for non-small cell lung cancers. Lung Cancer 2005;49:371–376. Yovino S, Kwok Y, Krasna M, Bangalore M, Suntharalingam M. An association between preoperative anemia and decreased survival in early-stage non-small-cell lung cancer patients treated with surgery alone. Int J Radiat Oncol Biol Phys 2005;62:1438–1443.